Access an extensive ecosystem of partners. 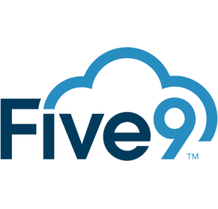 Enhance the Five9 cloud contact center platform with leading customer relationship management (CRM), analytics, workforce management, performance management solutions, and telephony providers. Gain a trusted partner. We take the time to understand our customers' requirements, tailoring deployments to specific needs and performing data collection and analytics to improve operations, optimize usage, and drive better business outcomes. 0	jplist-folder-All-Posts-292 jplist-folder-Featured-467 Data-Sheet-Data-Sheet	jplist-topic-ACV jplist-topic-Ai jplist-topic-Artificial-Intelligence jplist-topic-Ccaas jplist-topic-cloud jplist-topic-contact-center jplist-topic-IVR	1	12/04/2018 17:27:39	The combined capabilities of Five9 Genius and Google Contact Center AI make it easy for organizations to leverage data and intelligence to deliver a better customer and agent experience. 1	jplist-folder-All-Posts-292 jplist-folder-Featured-467 Product-Literature-Product-Literature	jplist-topic-ACV jplist-topic-Ccaas jplist-topic-IVR	1	12/04/2018 17:24:59	The Agent Augmentation trend will play out similar to other industries where AI technology is automating manual activities such as self-driving cars. As they transition from no automation where a human is at the wheel who steers, brakes, accelerates, and negotiates traffic, to the fully automated driverless car, the same holds true for the evolution of contact centers. 2	jplist-folder-All-Posts-292 jplist-folder-Featured-467 jplist-folder-All-Posts-292 Data-Sheet-Data-Sheet	jplist-topic-ACV jplist-topic-Ccaas jplist-topic-cloud jplist-topic-contact-center jplist-topic-IVR	1	06/05/2018 17:04:32	The Spring Release 2018 introduces a new artificial intelligence (AI) foundation that facilitates practical AI in the contact center along with enhancements across the Five9 portfolio. 3	jplist-folder-All-Posts-292 jplist-folder-Featured-467 Data-Sheet-Data-Sheet	jplist-topic-Ccaas	1	08/23/2018 14:25:20	Five9 delivers a powerful customer engagement workflow engine that leverages available customer data and context to find the right agent and guide that agent so they can provide seamless resolution to sales and service issues. 4	jplist-folder-All-Posts-292 jplist-folder-Featured-467 Data-Sheet-Data-Sheet	jplist-topic-Ccaas	1	08/23/2018 14:32:57	Five9 Global Voice makes it easier and more desirable than ever for enterprises to move their contact center infrastructure to the cloud. Use it to deliver amazing customer experiences anywhere in the world with carrier grade voice quality. Do you know customers that have Sales, Customer Service, Help Desk, or @ Home Call Center Agents? 5	jplist-folder-All-Posts-292 jplist-folder-Featured-467 jplist-folder-All-Posts-292 User-Guide-User-Guide	jplist-topic-Acd jplist-topic-Ccaas jplist-topic-cloud jplist-topic-contact-center jplist-topic-IVR	1	06/29/2015 14:52:50	Do you know customers that have Sales, Customer Service, Help Desk, or @ Home Call Center Agents? 6	jplist-folder-All-Posts-292 jplist-folder-Featured-467 Data-Sheet-Data-Sheet	jplist-topic-Ccaas	1	08/23/2018 14:35:47	Give supervisors everything they need to understand what is happening in today’s digital contact center to take action to maximize the customer experience, increase sales, and get the most out of your agents. 7	jplist-folder-All-Posts-292 jplist-folder-Featured-467 Data-Sheet-Data-Sheet	jplist-topic-Ccaas	1	08/23/2018 14:34:15	With the introduction of the Five9 Performance Dashboard, it is now easier than ever for contact centers to have visibility into the agent and customer experience throughout the customer journey. 8	jplist-folder-All-Posts-292 jplist-folder-Featured-467 White-Paper-White-Paper	jplist-topic-Ccaas jplist-topic-cloud jplist-topic-contact-center jplist-topic-Customer-Journey jplist-topic-Digital-Transformation	1	08/23/2017 18:48:27	The contact center infrastructure market is undergoing a major revolution, moving from complex, on premise, multi-vendor technology to easy to use, all in one software suites in the cloud. But is moving your contact center to the cloud right for your business? Find out more about the top 10 reasons why business like yours are moving to the cloud. 12	jplist-folder-All-Posts-292 Product-Literature-Product-Literature	jplist-topic-Call-Center jplist-topic-contact-center jplist-topic-Five9	0	11/02/2018 13:37:44	Check out the benefits associated with Five9 software! 14	jplist-folder-All-Posts-292 jplist-folder-All-Posts-292 eBook-eBook	jplist-topic-ACV jplist-topic-Ai jplist-topic-Artificial-Intelligence jplist-topic-Ccaas jplist-topic-contact-center jplist-topic-Cti jplist-topic-IVR	0	03/13/2018 18:26:26	Are you interested in how artificial intelligence (AI) might impact your contact center? The hype cycle for AI is nearing its peak. But before you rush to deploy an AI tool, let’s separate fact from fiction. What are the practical benefits of AI today? What kind of challenges arise from automation? What are the underlying technologies at play? In this e-book, we will answer these questions and more. We will examine AI from a pragmatic lens and offer suggestions to minimize costs and maximize returns. 15	jplist-folder-All-Posts-292 jplist-folder-All-Posts-292 eBook-eBook	jplist-topic-ACV jplist-topic-Ai jplist-topic-Ccaas jplist-topic-cloud jplist-topic-contact-center jplist-topic-healthcare jplist-topic-IVR	0	03/13/2018 15:15:24	The future of healthcare is at our doorstep, and cloud plays an important part in that future. With cloud, we have collaborative technology for a great digital transformation. Now, we face the difficult task of putting together the right pieces. 16	jplist-folder-All-Posts-292 White-Paper-White-Paper	jplist-topic-ACV jplist-topic-AVR jplist-topic-Ccaas jplist-topic-cloud jplist-topic-contact-center jplist-topic-Cti jplist-topic-Five9	0	03/13/2018 15:13:05	Moving on premises solutions to the cloud is compelling for a number of reasons but there are still some areas of potential risk around picking the right vendor. This white paper is designed to help you assess and evaluate the Five9 cloud solutions as viable replacements for on premises contact center infrastructure. It was written to provide an understanding of how Five9 software development and company processes meet the reliability, scalability, security, and quality requirements of your contact center. 17	jplist-folder-All-Posts-292 jplist-folder-All-Posts-292 eBook-eBook	jplist-topic-Skype-Subject-Matter-Experts	0	11/30/2017 17:09:17	By the time your customer calls your business, they’ve likely exhausted several other channels. Over the past six years, voice has transitioned to primarily an escalation channel. Other digital channels now comprise most initial interactions. Customers search for their answers through self-service on your website and via online forums. 18	jplist-folder-All-Posts-292 White-Paper-White-Paper	jplist-topic-Ccaas jplist-topic-cloud jplist-topic-Cloud-Contact-Center jplist-topic-contact-center jplist-topic-Five9 jplist-topic-global	0	08/22/2017 13:38:32	This white paper is designed to help you assess and evaluate cloud solutions as viable replacements for on premises infrastructure. It was written to provide an understanding of how software development and company processes can impact vendor aptitude. Business buyers will likely focus on whether a particular cloud solution will be a good fit for the business problem. That leaves IT and other tech savvy decision makers to help the company determine if the solution will provide the right capabilities in a secure and reliable manner for years to come. 21	jplist-folder-All-Posts-292 jplist-folder-All-Posts-292 eBook-eBook	jplist-topic-Ccaas jplist-topic-Cloud-Contact-Center jplist-topic-contact-center jplist-topic-Digital-Transformation jplist-topic-Five9 jplist-topic-Global-Voice	0	08/21/2017 16:53:38	Digital transformation is a concept that companies have defined and redefined multiple times in the scope of several decades. For the purpose of this e-book, we will revisit digital transformation as a construct of emerging cloud customer relationship management platforms (CRM), cloud contact center and other software as a service (SaaS) technologies; cloud infrastructure; advanced analytics engines and artificial intelligence. Through this lens, we will address digital transformation as a metamorphic process by which companies improve operational efficiency and depart from generalized marketing, sales and customer service to pursue specific and individualized approaches that improve profits, customer satisfaction and customer retention. 23	jplist-folder-All-Posts-292 Data-Sheet-Data-Sheet	jplist-topic-Ccaas jplist-topic-Cloud-Contact-Center jplist-topic-CONTACTCENTER jplist-topic-Customer-Experience jplist-topic-Customer-Jouryney jplist-topic-Five9 jplist-topic-Global-Voice	0	08/21/2017 16:45:07	Five9 Global Voice makes it easier and more desirable than ever for enterprises to move their contact center infrastructure to the cloud. Use it to deliver amazing customer experiences anywhere in the world with carrier grade voice quality. 27	jplist-folder-All-Posts-292 Product-Literature-Product-Literature	jplist-topic-Five9-Connect jplist-topic-Modern-Design jplist-topic-Multichannel jplist-topic-Next-Best-Actions jplist-topic-Oracle-Adapter jplist-topic-Personalized-Dashboards jplist-topic-Salesforce-Adapter jplist-topic-Unified-Multichannel-History	0	07/27/2015 13:37:22	Introducing a revolutionary new Five9 agent desktop— reimagined to maximize agent productivity, with smarter adapters for both Salesforce and Oracle, and a suite of cloud APIs architected for pure cloud integrations. 29	jplist-folder-All-Posts-292 Article-Article	jplist-topic-chat jplist-topic-Dashboards-And-Reports jplist-topic-email jplist-topic-Inbound jplist-topic-mobile jplist-topic-Multichannel jplist-topic-Multichannel-Agent-Desktop jplist-topic-Outbound jplist-topic-Social	0	07/27/2015 13:11:34	Meet your customers on their channel of choice. Engage with customers through social media, live chat, email, or mobile devices. Give your agents the power to respond more quickly and more efficiently across more channels. 30	jplist-folder-All-Posts-292 jplist-folder-All-Posts-292 Article-Article	jplist-topic-Acd jplist-topic-Customer-Data jplist-topic-Oracle jplist-topic-PC jplist-topic-Rightnow jplist-topic-Work-At-Home	0	07/27/2015 13:03:32	Five9 easily connects to Oracle RightNow Cloud Service, creating a single, powerful customer experience ecosystem that helps organizations keep clients happy—and improve the bottom line. 31	jplist-folder-All-Posts-292 jplist-folder-All-Posts-292 Article-Article	jplist-topic-Click-To-Call jplist-topic-CTI-Adapter jplist-topic-CTI-Integrations jplist-topic-OpenCTI jplist-topic-Sales-Cloud jplist-topic-Service-Cloud	0	07/27/2015 12:59:54	Five9 enriches the Salesforce user experience by integrating its best-of- breed contact solutions into the application, taking agent productivity to new heights. 32	jplist-folder-All-Posts-292 jplist-folder-All-Posts-292 Product-Literature-Product-Literature	jplist-topic-Cloud-APIs jplist-topic-CRM-Integrations jplist-topic-Leads360 jplist-topic-Microsoft-Dynamics jplist-topic-Netsuite jplist-topic-Oracle jplist-topic-Rightnow jplist-topic-Salesforce jplist-topic-Web-Connectors	0	07/27/2015 12:42:40	Advanced integration solutions. No coding required. We make implementation easy, configuration a breeze, and data access instantaneous. With Five9 Cloud APIs, Connectors, and CRM Integrations--we take complexity out of the contact center. 33	jplist-folder-All-Posts-292 Product-Literature-Product-Literature	jplist-topic-cloud jplist-topic-Customer-Experience jplist-topic-Customer-Service jplist-topic-Customer-Support jplist-topic-Inbound jplist-topic-Inbound-Contact-Center	0	07/27/2015 12:01:08	Business moves fast. So should your contact center. With the simplicity of the Five9 Inbound Cloud Contact Center, you can configure your contact center in as little as an hour. 34	jplist-folder-All-Posts-292 Product-Literature-Product-Literature	jplist-topic-Dialer jplist-topic-Outbound jplist-topic-Power-Dialer jplist-topic-Predictive-Dialer jplist-topic-Preview-Dialer jplist-topic-Progressive-Dialer jplist-topic-sales jplist-topic-Tcpa	0	07/17/2015 12:51:15	Leverage our automated dialer technologies and campaign management tools, to enable your agents, inside sales, and lead generation teams to improve contact ratios and uncover more sales. 35	jplist-folder-All-Posts-292 jplist-folder-All-Posts-292 Product-Literature-Product-Literature	jplist-topic-Agent-Optimization jplist-topic-Blended-Contact-Center	0	06/29/2015 14:16:18	Get all the benefits of feature-rich, on-premise systems with none of thehassle. The Five9 Virtual Contact Center (VCC) suite gives your peoplethe tools they need to make powerful customer connections whiledelivering the results your business requires.